Mile Markers where the Fairfield Loop Trail begins and ends. First, our Mission Statement: The Jefferson County Trails Council's mission is to: build, construct, and maintain a network of trails for public use and enjoyment, and to promote, inform, and educate the general public about the trail system. Also, see an article by Ron Blair in the June 2014 issue of The Iowa Source magazine about the history of the Fairfield Loop Trail. 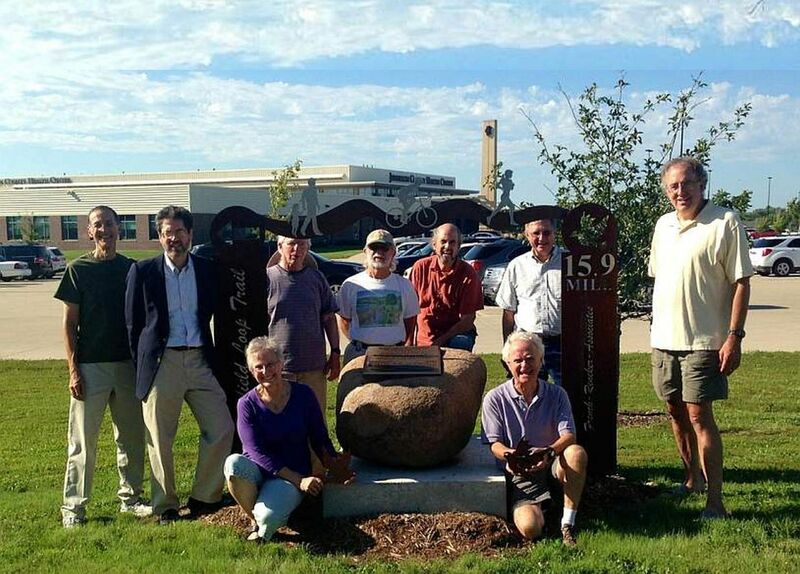 And see a story of how the Pedestal Signs (PDF) came to life with a lot of help (story written by Ron Blair). 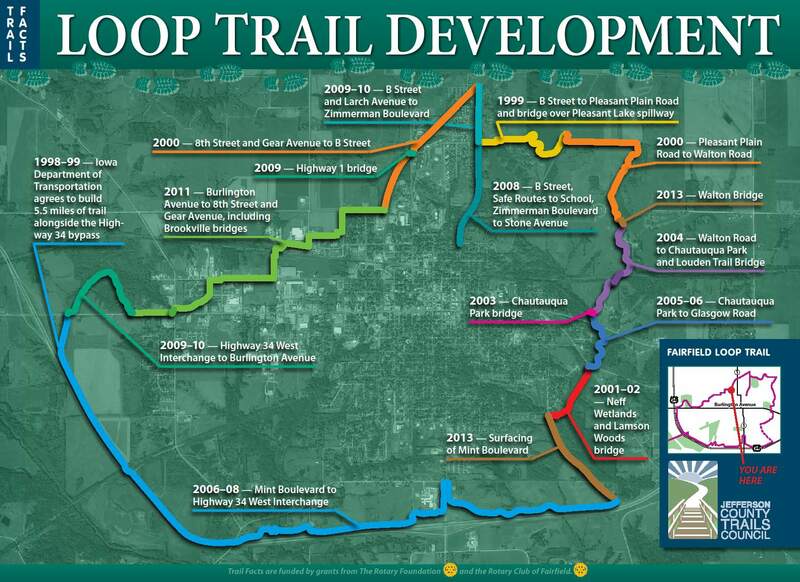 (Scroll down to see the Loop Trail Development Kiosk and our History of JCTC Kiosk). In August 1997 the Jefferson County Trails Council came into being with the assistance and encouragement of the Jefferson County Conservation Board. At this point no one had envisioned a Loop Trail that encircled Fairfield. The first task was to extend the Jefferson County Park Trail southwest along the old Rock Island roadbed, with hopes of reaching Libertyville four miles away. The mile of roadbed from the park to Cedar Creek was acquired, cleared and rocked, a shelter was built, and with a TEA-21 grant, a 376' bridge over the creek was built using the abutments from the old railroad bridge (the railroad bridge had been removed in the 1980's). A name was chosen -- Cedar View Trail (CVT). Since it would be 2002 before the CVT bridge would be completed, the JCTC turned their attention to creating new trails. They developed a concept for a Loop Trail that encircled the city, joining the CVT, along with a Bikeway/Walkway system of inner city spokes connecting to schools, parks and other points of interest. It was named the Fairfield Loop Trail. Easements were acquired for the undestroyed sections of the Rock Island in the northern part of the city. Then, to connect to Walton Lake toward the east, easements were granted along cornfields, pastures, and around city reservoirs. A new bridge was needed over the reservoir #2 spillway -- the Iowa National Guard volunteered to build it for training purposes. Also, a REAP grant was obtained with the cooperation of the City of Fairfield for construction of almost 4 miles of a crushed limestone trail along these easements, which was completed in 2000. 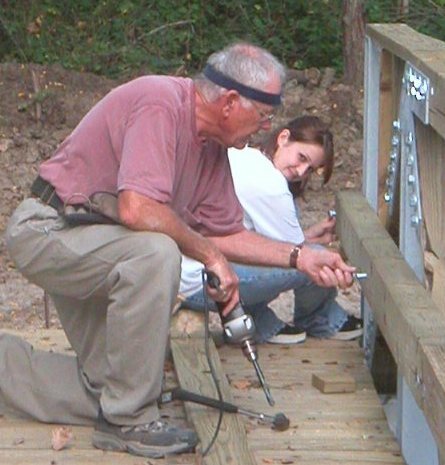 Between late 2000 and summer 2002 a new 342-ft bridge/boardwalk was built by volunteers along Lamson Woods State Preserve, connecting a wetlands area trail to Mint Blvd. This became part of the Loop Trail, connecting via Mint Blvd to the southern section. In January 2002 a rustic walking trail was created through the woods at reservoir # 2, supplementing a 1.25-mile trail around reservoir # 1. In 2004 a critical component of the Loop Trail came into being with construction of the 246- foot pedestrian BNSF Bridge over the BNSF Railroad just east of Chautauqua Park. This bridge is more than just a concrete structure, however. The JCTC received a grant from the National Endowments of the Arts for "artistic" enhancements to the bridge. To connect this new bridge to the Neff Wetlands/Lamson Woods, an easement was obtained through the Fry property. To make it work 3 bridges needed to be built over the creeks. Designed by Bill Matkin and completed in 2007, they are a combination of galvanized steel and wood. 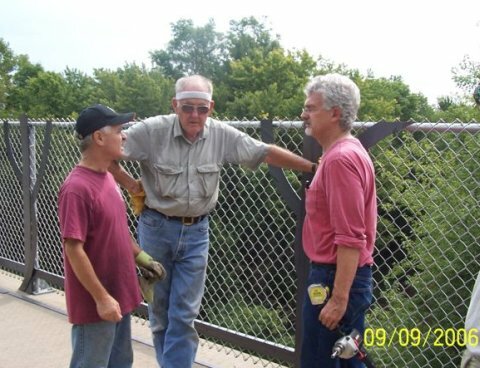 With the announcement that the Iowa DOT would build a new bypass in 2004 around the southern edge of Fairfield, the JCTC lobbied to have them build a trail alongside the new highway, and they agreed. It was finished in 2009. The Bill Matkin Memorial Bridge was built in 2009 to allow safe passage for trail users over busy Highway 1. The Matkin Memorial Plaza honors not only the designer, but also the histories of bridge design, Iowa and the Fairfield Loop Trail. By the end of 2011, all 16 miles of the Loop Trail will be complete, allowing one to completely circle Fairfield. With its variety of terrain and topographies, with prairies, woodlands, lakes, wetlands, and connections to many city and county parks, it is an experience unlike most trails. In fact, we think of the Loop Trail as a long, narrow linear park, with a variety of adventures along the way. For history buffs, in 2004 the Fairfield Heritage Tour was developed to present the rich tapestry of Fairfield's past. Bike or drive the 8 miles to see 50 historic and architecturally interesting buildings, or view it on-line, where you will also find the history of the Louden Machinery Company. It is surprising what a volunteer group can do when it has the cooperation and assistance of diverse organizations and individuals. Look at our News Page for the latest information. Below: Kiosks about the Loop Trail Development, and the JCTC History. I appreciate your thoughtful reply to my email [about the trimming]. I'd only reiterate my love for the raspberries that are abundant by the sides of the trail and how much I count on them for pies each summer. Clearly the long term health of the trail is supported by regular trimming, and as you say, this cuts back on the use of the herbicides which are by far a less appealing alternative. As far as raspberries go, they shouldn't be impacted by cutting back over winter time. New canes would come up in Spring and still bear this year. Park & Rec isn't digging anything up at the root level, only removing above-ground growth. I want to share some deeper truths about the trail, partly for your benefit and partly so you could share this knowledge with others. Trail width. Federal guidelines set the standard at 10' wide. I originally balked at this idea. It seemed more like a highway than a trail. However, the first time I walked on the trail and saw 2 cyclists going in one direction passing a walker coming in the opposite direction I knew why 10' is considered ideal. Unfortunately, weeds have overtaken many stretches of our Loop Trail. We were shy and reticent about spraying and the result is that in some areas the trail width has shrunk to 4'-6' in width. This is not sustainable. We will spray the Loop Trail twice this year with RoundUp. We have tried "natural" and organic remedies in the past. Unfortunately they only kill the growth that is above ground and not the roots. The weed returns! We need a systemic herbicide to eradicate the problem at the root level. After conferring with Steve Nichols and the folks at Soil Tech we determined that the least toxic herbicide, most readily breaking down into inert substances within 24 hrs, is RoundUp. As Steve said, "you have to use it. Letting the trail be overgrown with weeds is not an option." Hopefully, by cutting back each section of trail, mowing regularly, and applying Round Up twice this year we can get to the point where it only needs to be applied once per year or once every other year. The Trail System, with all the major bridges, construction costs, easements, etc., is a $5 Million dollar investment. Like any other piece of infrastructure - library, civic center, etc., - it needs to be maintained to be enjoyed at its fullest. You can tell from reading this email that we've thought long and hard as to the best, least invasive and intrusive, way to go about this task. It's a balancing act, that's for sure. We would deeply appreciate it if you could pass on this information to friends and neighbors. It's tough on us when people call to complain about things we're doing to maintain the trail system at its highest level. 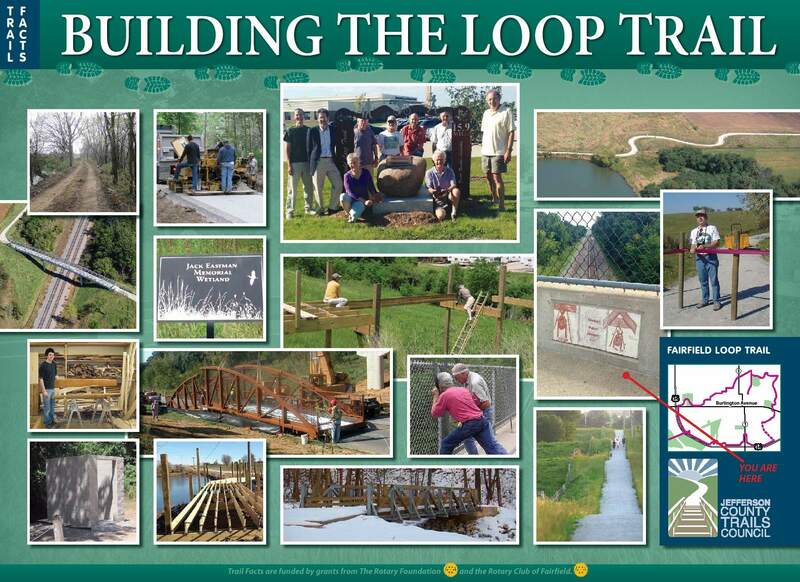 * The Loop Trail will be a $6 Million (approximately) piece of infrastructure one day. * Like any solid structure - such as roads and bridges - it needs upkeep and maintenance. * We chose a granular surface for the trail for many reasons: cost, naturalness, good on the legs and feet, slows down bicyclists, etc. * The negative trade-off for a granular surface is that it is susceptible to weeds. * The Trail System is an investment by the City of Fairfield and the County, a benefit for local users as well as out-of-town visitors and tourists. We want it to look exemplary, not overgrown with weeds! As does the Convention and Visitors Bureau and Chamber of Commerce. We have researched and tried non-toxic, organic sprays on the trail. They have not worked, except as a topical agent (killing the surface growth for 3-5 weeks). They are not an effective systemic, in other words, they do not go into the root system to kill the weed. The most effective, least toxic systemic available is RoundUp, which is what we have used over the past few years. We have checked with many professionals, including Steve Nichols at Soil Technologies, Inc., as I heard they have a new, non-toxic product called Phydra that is an effective weed killer. Steve says it is only topical; it doesn't kill the weed. Steve stated, without any prompting, that, "having the Loop Trail overrun with weeds is simply not acceptable." He said RoundUp is the only alternative now known. Therefore, we hired a professional company, Bass Lawn Care, to spray the Loop Trail. They used state-of-the-art hooded spray valves to keep the RoundUp strictly on the trail, with no drifting whatsoever. The Fairfield Park & Rec Dept and the Jefferson County Conservation Board (JCCB) each have maintenance responsibility for designated sections of the Loop Trail. Last winter they met to discuss sharing equipment and manpower for this maintenance. There are only 6 miles of Loop Trail completed, and their staff and resources are being stretched already. How will they be affected when 17 miles are complete? Because of this, the JCTC is helping Park & Rec on their sections of the Loop Trail. One issue involves mowing along the trail. The JCCB has a vertical-cutting mower that is used to cut back encroaching bushes and shrubs on both sides of the County Park trails. Plans were made to try it on the Loop Trail. Because the trails are man-made, nature will simply reclaim that land, if we don't cut back growth. By cutting back encroaching bushes and shrubs with the vertical-cutting mower, Park & Rec. 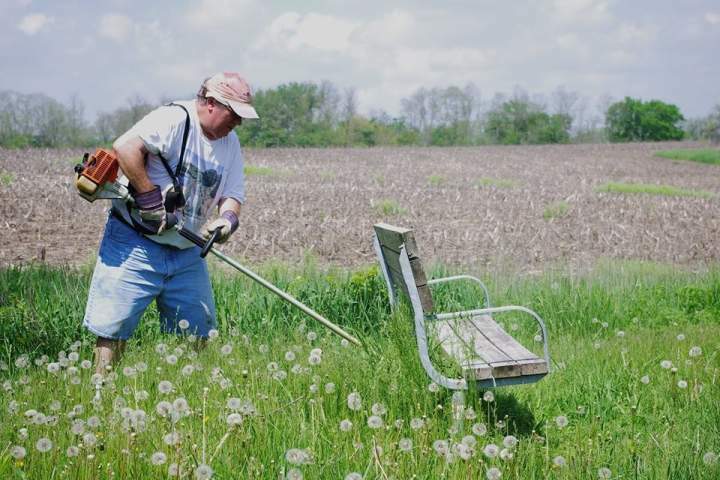 can use their regular mower to cut the grass/weeds on the trail margins more frequently, thereby cutting down on weed-encroachment onto the trail proper, and therefore reducing the need to use RoundUp. Because the weeds had taken hold so strongly in some areas of the trail, Ron Blair encouraged the JCCB to aggressively use the vertical mower, which will then allow Park & Rec to mow further into the trail margins. In hindsight, this should have been done in the winter-time when it's easier to see everything, and the consequences of cutting would not look so dramatic. Also in hindsight, we probably didn't need to cut back so deeply. As a footnote, a crew of JCTC volunteers went through most of the Loop Trail in Summer, 2006, with loppers and electric trimming shears, trying to push back the encroachment. They probably cut back 12-18" of growth. The very next year, 2007, the new growth is back as vigorously as before, if not stronger. Periodically, therefore, the adjacent foliage needs to be trimmed back (maybe 3'-4', rather than 6'-8') to protect the trail system. This is not an option, it is a requirement! Trimming back should also be done vertically, from ground level up to 8-10' high. This cannot be done regularly by volunteers. It requires professionals (liability) and professional equipment. People are concerned about nature, rightfully so. However, The reality is that all our trails are man-made. Ron Meyers has said, "If you don't want to be on a man-made trail, walk in the woods with the poison ivy, thorns, multiflora rose, etc." Man-made trails have to be maintained, just as our roads are. The trails cost a lot to build, are loved by all users, and therefore should not be allowed to fall into disrepair. The JCCB and Park & Rec Dept staff members are sensitive, seasoned professionals who truly love what they do and try to minimize the disturbance to nature, while at the same time maintaining a high quality product. We welcome input. Polite and respectful input is particularly useful. Also, the people who put time, care, and love into their tasks, building or maintaining trails, wish to be treated respectfully. Maybe a different piece of machinery will ultimately be required to more gently cut back the growth. Maybe one day a non-toxic systemic will be created. Until then, dialogue is important and necessary. We hope concerned citizens understand that much thought, much care, and love goes into decision-making about long-term trail maintenance. We have always worked in the spirit of compromise, cordiality, and in striking a balance. We only ask that others do the same. "I am writing with a question about the trail. Are horses allowed on the trail? I've looked thru the website but could not find any info regarding riding your horse on the trail. Any information on this issue would be greatly appreciated." "As far as the Loop Trail goes, horses are not allowed. The same holds true for the trails in Jefferson County Park. There's too much potential for horse vs bike or dog problems as well as the fact that the granular surface trail would get torn up whenever the ground was soft. I do know that the Jefferson County Conservation Board has an equestrian trail at Turkey Run that was developed by riders interested in having access to trails and nature for their horses and themselves." "In 2004 Rob Weaver's family and friends developed (and now maintain) 6 miles of equestrian trails in the Turkey Run Wildlife Area. However, trail use is prohibited during deer and turkey hunting sessions (October through mid-January, and early April through mid-May). Limited parking space is available for trucks and horse trailers." See the entire Turkey Run Wildlife Area page on the Jefferson County Conservation website. Dr. Larry Nash has been a pivotal volunteer with the Jefferson County Trails Council for many years. A fearsome worker, Larry likes to get an early start and work until dark. His talents run the range from supplying tools and materials: generators, drill bits, extension cords, and electric cutting shears, to bridge building, to having his granddaughter work on bridge building, to clearing downed trees on our walking trails, to building earthen erosion control, to helping obtain easements, to working his brush mower in tough-to-reach areas, to encouraging friends and family to donate to the trail project, to installing artwork on the bridges, to helping pour concrete, to pounding in sign posts, and on and on. Larry and Janet Nash recently celebrated their 50th Wedding Anniversary with a bike tour in the hills and valleys of Switzerland. In addition, Larry is an avid hunter and frequently makes the trip to Monroe County where he maintains a nice farmstead. Larry is active in Rotary and Habitat for Humanity. We miss him in the winter when he and Janet travel to a warmer climate, but thankfully for us he returns in the spring when the land is reawakening and the trail building is beginning anew. JCTC meetings are held at 5:00 PM the 4th Tuesday of most months at the Jefferson County Park Nature Center. We welcome anyone who would like to join the Jefferson County Trails Council and support our goal of establishing and maintaining a trail system for the whole community to enjoy. Chairman: Steven Pedrick; Vice-Chairman: Frank Broz; Treasurer: Bob Hunerdosse; Secretary: Jeffrey Fitz-Randolph; Marketing Co-chairs: Darin Hayne & Jami Johnson; Maintenance Committee Chairman: Megan Leach. Last summer, Steve canoed the lower 70 miles of the Des Moines River through the confluence with the Mississippi River. Whether it is running, backpacking, or canoeing, Steve is always ready for a new adventure in the great outdoors. Steve is a professional engineer at French-Reneker-Associates and has been the Chairman of the Jefferson County Trails Council since 2012. Steve is also a member of the Fairfield Area Chamber of Commerce Board of Directors, and is a member of First United Methodist Church in Fairfield. You are most likely to find Steve running on the Lamson Woods/Neff Wetland Segment, one of his favorite sections of the Loop Trail. Bob is the treasurer of the Jefferson County Trails Council. Bob is semi retired and works in the afternoons at the Fairfield Ledger. 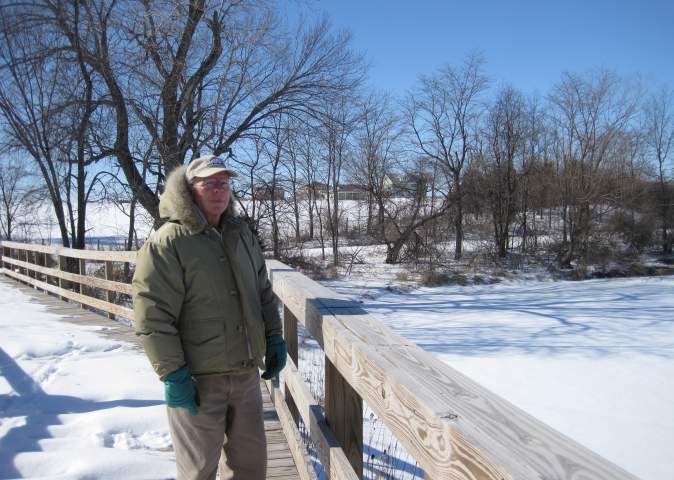 In his free time, Bob enjoys walking, running, biking, and cross country skiing on the trails. One of Bob's favorite activities is running in road races when he is not injured. Although he is allergic to poison ivy, Bob trims the brush away from the trail on a weekly basis. Darin Hayne has been a local real estate agent since 2008 and works at ERA Fairfield Real Estate. She loves yoga, being outdoors, travel and baking. 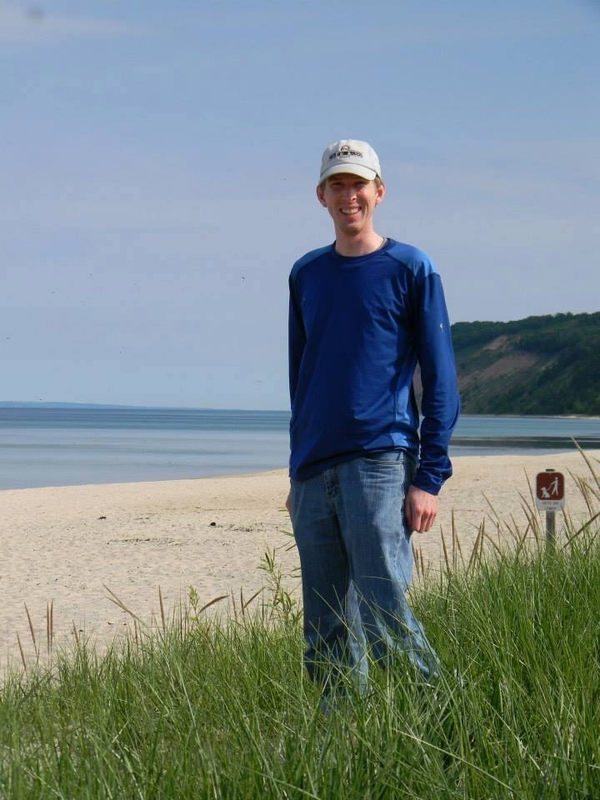 Darin is the Co-Chair on the Jefferson County Trails Marketing Committee. Darin is also a Director and dog walking volunteer at Noah's Ark Animal Foundation and President for the Fairfield Young Professionals Organization. You will likely find her walking on the trail near Waterworks Park, or Jefferson County Park. Jami Johnson is a print designer and freelance graphic designer. Jami got involved as the JCTC marketing co-chair after participating in the May 2013 trail maintenance day and being asked to redesign the logo. 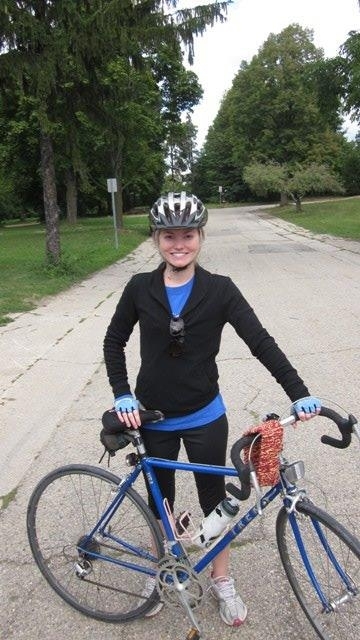 She enjoys dedicating her time and talents to something the whole community can enjoy. When she's not running on the trails she's planning EcoJam Fashion Show and getting involved in any artistic way possible in the Fairfield community. 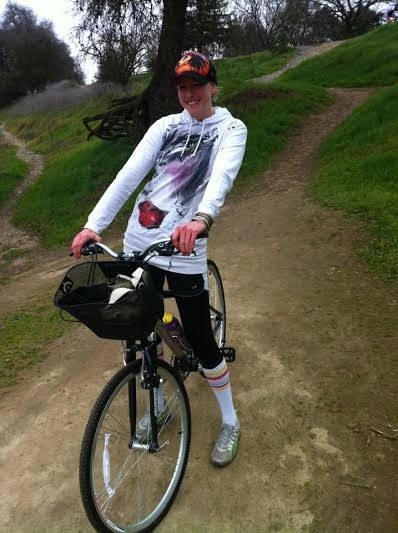 The Jefferson County Park trails were (and are) fun to ride on a bike, but it was not enough. The Kewash and the Lake Geode trails were too far away for just an evening’s bike ride, so when a meeting was called by JCCB to expand Fairfield area trails, Jeff decided to attend. He was asked to be the editor for the JCTC Newsletter, and later took over the website when Jim Meyer went full time into the Air National Guard. Jeff also helped Ron Blair and Mark Shafer realize their vision of a Heritage Trail. We are a non-profit, 100% volunteer organization. Without volunteers, the vision of a trail system for Jefferson County can't survive. To date we have been able to accomplish an amazing amount with just a small group of volunteers, some generous donations from community members, and various grants we worked hard to get. As we continue to build the trail system and expand the Jefferson County Trails Council, we need volunteers to help in many ways, large and small. If you want to help make Fairfield a better place to live, with trails that we can all enjoy, then see how you can become a volunteer. Include contact information and ideas on how you might want to help. You can also donate to the Jefferson County Trails Council. Thank you for supporting the trail system! We wrote this Long-Range Plan in 2001. It is fun to look back and see how much of our plan has been accomplished. 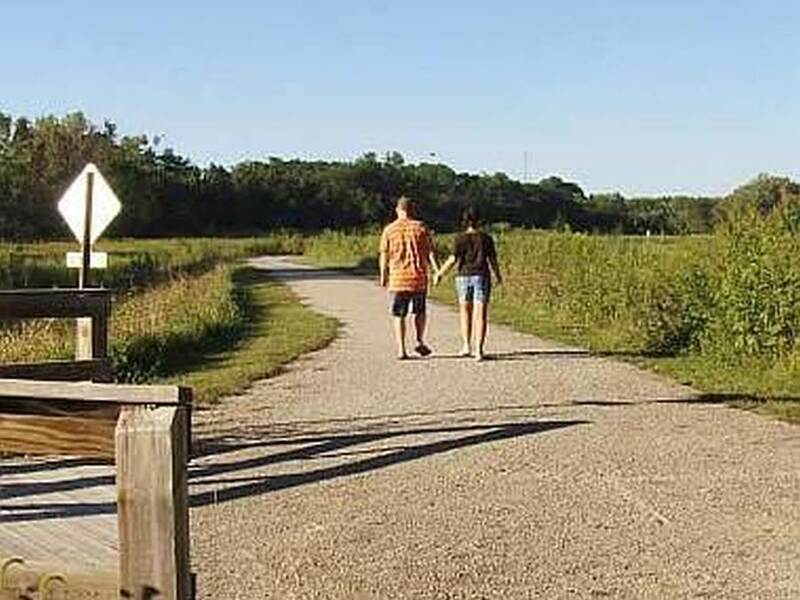 The Long Range Plan of the Jefferson County Trails Council is to create an integrated trail system that will allow all citizens and visitors to enjoy the benefits of health, recreation, education, and safety. An integrated trail system will utilize many, if not most, of the important assets of Jefferson County. The Recreational Trail will utilize wetlands, woodlands, prairie, watersheds, a state preserve, city parks, to name but a few. The Heritage Trail will educate and celebrate the history of both city and county, featuring Fairfield's finest architecture, National Historic Registry buildings, and the Louden Machinery Company's innovative role in the evolution of farming. The Water Trail will take advantage of the existing bodies of water within the county -- the Cedar Creek and Skunk River, as well as the 3 city reservoirs. Improved water quality, fishing habitat, and recreational use will be the goal of the Water Trail. Quality of Life Infrastructure is what the entire Trail System is about. Expect to see Long Range dividends such as increased tourism to Jefferson County, increased health and safety among our citizens, and an increased ability to attract new business to locate or relocate to Jefferson County. Powered by w3.css / Produced by Jeffrey Fitz-Randolph for the Jefferson County Trails Council.